Drunken Cop Dares Other Cops to Arrest Him, They Do. Home Badge Abuse Drunken Cop Dares Other Cops to Arrest Him, They Do. A Florida police officer was arrested Saturday night after a domestic dispute with his wife. 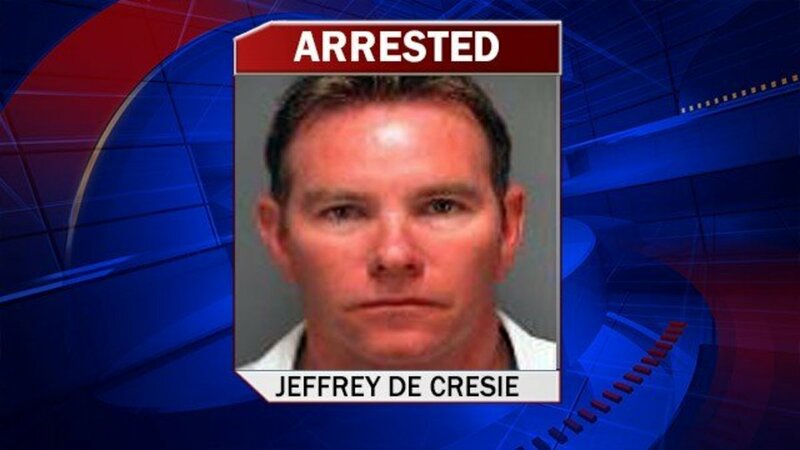 Police were called to the Mahaffey Theater in Pinellas County, Florida, because Deputy Jeffrey De Cresie was reportedly drunk and verbally abusing his wife outside of the theater. According to the police report, De Cresie refused to stop yelling at his wife when he was approached and became hostile with the officers that responded to the scene. His eyes were allegedly bloodshot and his speech was angry and slurred. The police report also noted that the deputy had dared the arresting officers to take him to jail. Surprisingly, the officers did actually end up taking him to jail, although the stay was far shorter than you or I would experience if we had been arrested under the same circumstances. A FOX affiliate in Orlando reported that the deputy was charged with disorderly intoxication in a public place and was quickly released on bond. Unfortunately, domestic violence is a serious problem among police officers, and in most cases they never see any consequences. Although we can not be certain that this particular police officer is abusive to his family, a drunken shouting match in a public place does not paint a very nice picture. According to recent studies, law enforcement officers beat their wives or girlfriends at nearly double the rate of the rest of the population.